I’ve been inspired by some big time blogger idols to create a list of goals and set a timeline for completion. So below, in no particular order, you will find 50 things I would like to accomplish my next birthday (September 15, 2011). And check back for progress reports! 1.) Start a garden. Grow flowers to display on my dining room table and food I can serve to guests. 2.) Have an “adult” bedroom. One with a color scheme, a relaxing ambience, some decorative pillows and a dust ruffle. 3.) Have a guest room that’s truly welcoming for guests – books, towels, magazines etc to make them feel welcome and taken care of. 4.) I want matching towels! 8 bath sheets (GIANT ones! ), four hand towels and two wash cloths that all coordinate. 5.) Change my lancet once a week. 11.) Have guests over for dinner once a month & serve at least one brand new dish. 15.) Have a body AND a bathing suit I am proud to show off. September 2010 – sauerkraut – yum! 38.) Successfully, plan, shop & execute a weekly meal plan. Pretty good and realistic list. Especially #4. Matching towels in the bathroom. I’m a towel snob and have full length bath sheets though. Longer and fluffier. 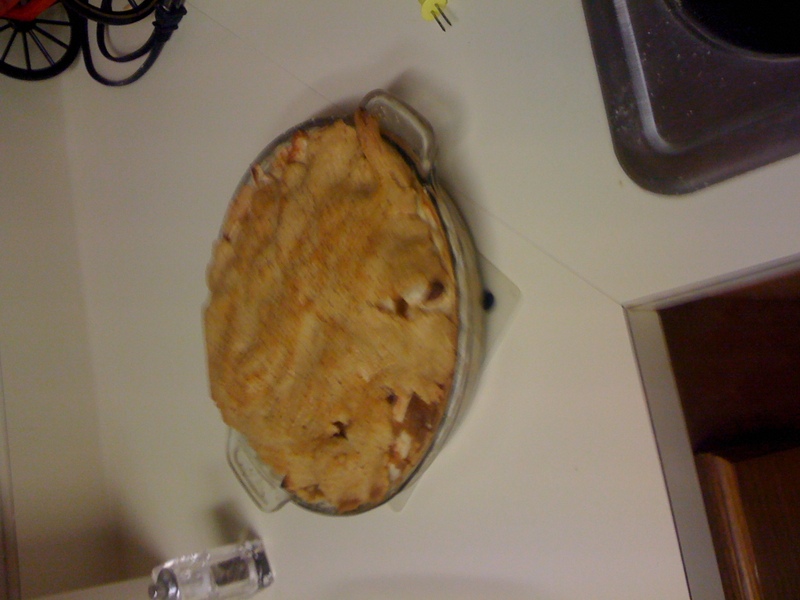 My FIL is a diabetic and makes a great sugar free apple pie. I’ll have to pry the recipe from him and shoot it your way.